Pitt Misses on Porter; What's Next for Top WPIAL Recruits? When Pitt lost out on Pine-Richland OL Andrew Kristofic back in April, one the Panthers’ top local targets and perhaps the best WPIAL player in the Class of 2019, I wrote that, despite another loss of a top target to Notre Dame, Pitt has still dominated local recruiting with a large volume of recruits. That’s of course, still true. Pitt had five WPIAL players in the Class of 2018, four in 2017, seven in 2016 and six in 2015. Each year, that was more than any other school. But it might not be true for long. The 2019 classes are starting to fill up and as things stand in the beginning of September, Pitt doesn’t have a plate at the table. After No. 1 prospect Joey Porter, Jr., committed to Penn State on Tuesday morning, five of the top ten 2019 WPIAL recruits have committed, and none have committed to Pitt. Of the uncommitted local 2019 recruits, only four have Pitt offers: Aliquippa cornerback M.J. Devonshire, Latrobe center and defensive tackle Trent Holler, Norwin safety Jayvon Thrift and Shady Side Academy wide receiver Dino Tomlin. Things can always change, but it looks like Pitt will get four local players at the very most in this class, and it’s likely that the Panthers will get fewer than that. The commitment of Porter to the Lions continued another trend, as well. Since the Panthers landed Whitehead in 2015, the top prospect in the area has gone elsewhere for four straight classes. So Pitt has been unable to hold onto the top prospects, and now, it seems that the Panthers are struggling to recruit any local players. But I’m not sure that’s a totally fair way to look at things. Pitt has struggled throughout with upper-level players. It’s been the next tier of players that the Panthers have built their local successes with. In 2016, Pitt got one-third of the upper tier trio Miles Sanders (Penn State), Damar Hamlin and Khaleke Hudson (Michigan), but Pitt got the next five players and six of the next eight to build the bulk of their class. In 2017, Pitt got Paris Ford, lost out on Lamont Wade and C.J. Thorpe to Penn State, Josh Lugg, David Adams and Kurt Finish to Notre Dame and Donovan Jeter to Michigan, but landed three of the next five players. In 2018, Phil Jurkovec went to Notre Dame, but Pitt got five of the next 10, beating Penn State for Blake Zubovic and Ohio State for Jake Kradel. Like it or not, Pitt is not at the same level of schools like Michigan, Notre Dame, Ohio State and Penn State. 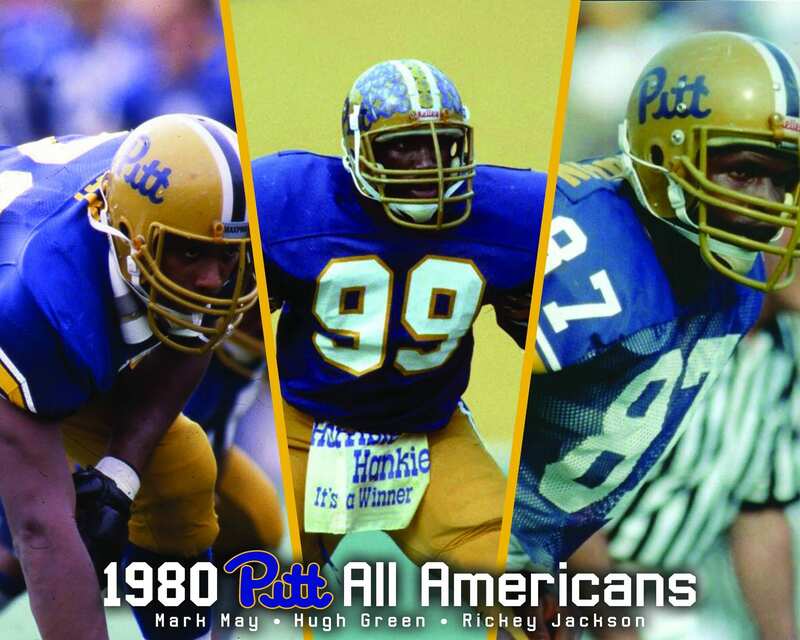 There are some schools that are roughly on Pitt’s level when it comes to success like Maryland, Syracuse and Virginia that have plucked some players from time to time. This year, Michael Katic committed to Indiana and Courtney Jackson will go to Syracuse. There are always going to be some kids that choose to go elsewhere, even if talent-wise, they’re a fit for a school like Pitt. But this year, after Katic and Jackson committed elsewhere, there’s not much of a middle class in the 2019 class left for Pitt to mine. In the past, Pitt has recruited locally heavily and then expanded outward, based on needs and situations. This year, Pitt brought a dozen players from the south up to campus in June and landed a boat-load of recruits with a different strategy. Devonshire has an Ohio State offer and a West Virginia offer, where he could join Dravon Askew-Henry and Kwantel Raines as Quips that played as Mountaineers. If he commits to Pitt, it will probably be an upset. After that, if Pitt lands Holler, Tomlin and Thrift, they’ll still have landed about 2/3 of the middle-tier Power Five players from the conference. The reason it looks bad is that it’s a class short on that level of talent. Pitt’s 51-6 loss to Penn State probably didn’t mean much when it comes to recruiting. No player that was on the fence is going to have their mind made up by that. In fact, Porter was the last WPIAL player with offers to both. But it did make it clear that the Lions and Panthers are not currently in the same stratosphere. As such, defections to Happy Valley (and Michigan, and Ohio State, and Notre Dame), should be expected to continue. That’s why Narduzzi invested heavily in keeping ace Florida recruiter Charlie Partridge on the staff. That’s why they changed strategy to focus on Florida earlier in the cycle. That’s why new assistants Randy Bates (Texas) and Archie Collins (Michigan) have experience in different areas of the country. Because Western Pennsylvania is too competitively recruited, with too few difference makers, to sustain the Panthers right now.